A Seth Rogen Uncharted Film Could Have Happened. Imagine That. If an Uncharted movie ever materialized, there are a number of directors that would come to mind before Seth Rogen. But it's Seth Rogen and Evan Goldberg that Naughty Dog has sought out specifically multiple times in the past, according to IGN. 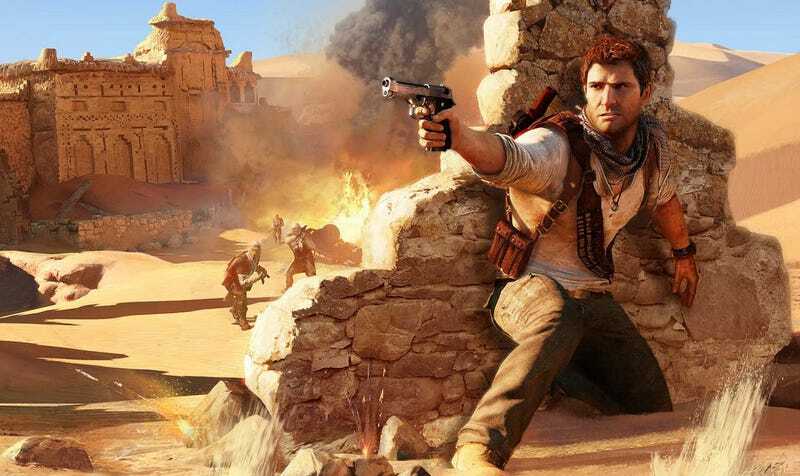 “They’re constantly asking me and Evan to make the Uncharted movie,” Rogen told IGN. Despite being "huge fans" of the franchise, they didn't go for it. They couldn't figure out a treatment. “It’s just going to be Indiana Jones. If we could figure out a way to make it not Indiana Jones, it’d be awesome,” Goldberg said. The movie has been in development since 2007, and at one point they considered Mark Wahlberg as Nathan Drake. Even so, the film has no director attached to it.